Tired of having just a normal stocking for Christmas? Want something special for that special somebody? 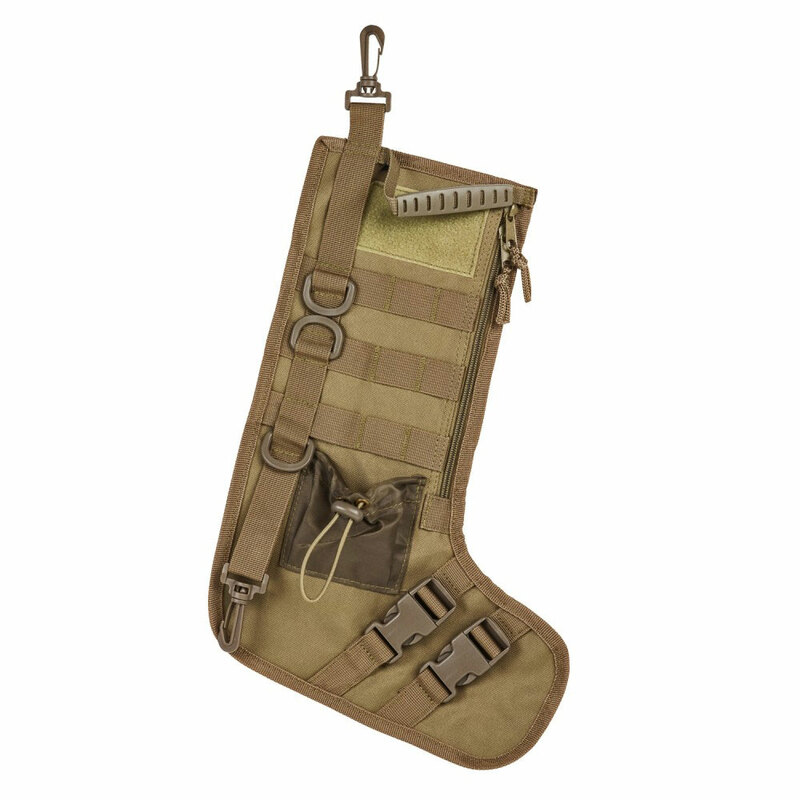 Look no further than this Tactical Christmas Stocking! You have plenty of room for secret Christmas gifts with a side zipper for the main compartment so they are surprised instead of peeking over the top to see all of their goodies. This stocking comes with a durable plastic clip on the top left corner for you to hang it up from. Have something that wont fit in the stocking? This stocking comes with a special slip at the bottom so that you can hang it from the stocking itself! Want some morale patches on your stocking for your favorite brands but have no place to put them? 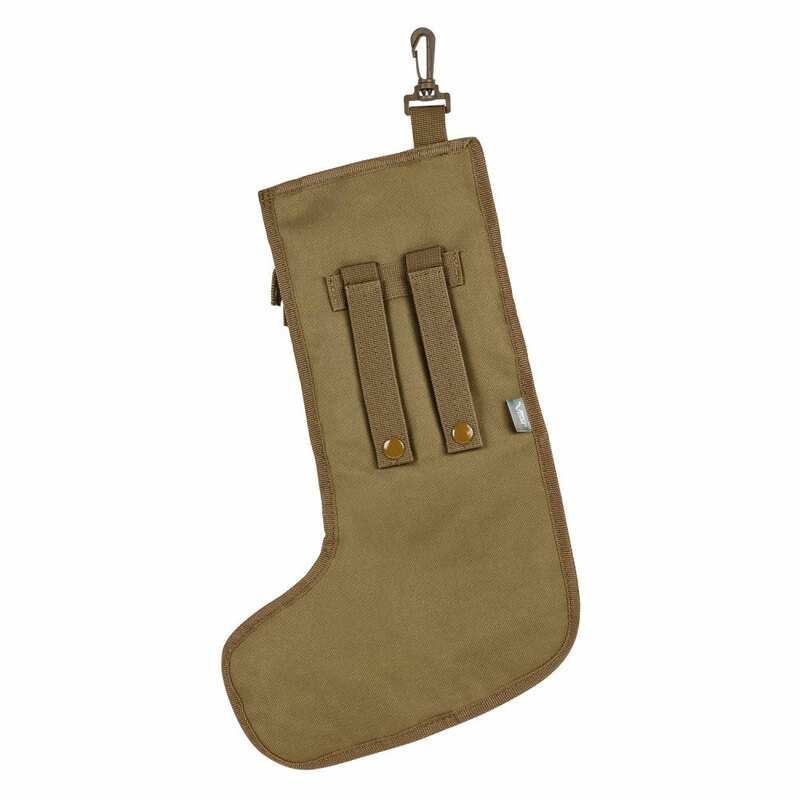 This stocking comes with a loop and hook for attaching them front and center for all to see. This stocking also comes with a small pouch with a pull cord for those little presents that you don't want to get smashed at the bottom. On the go this Christmas season? 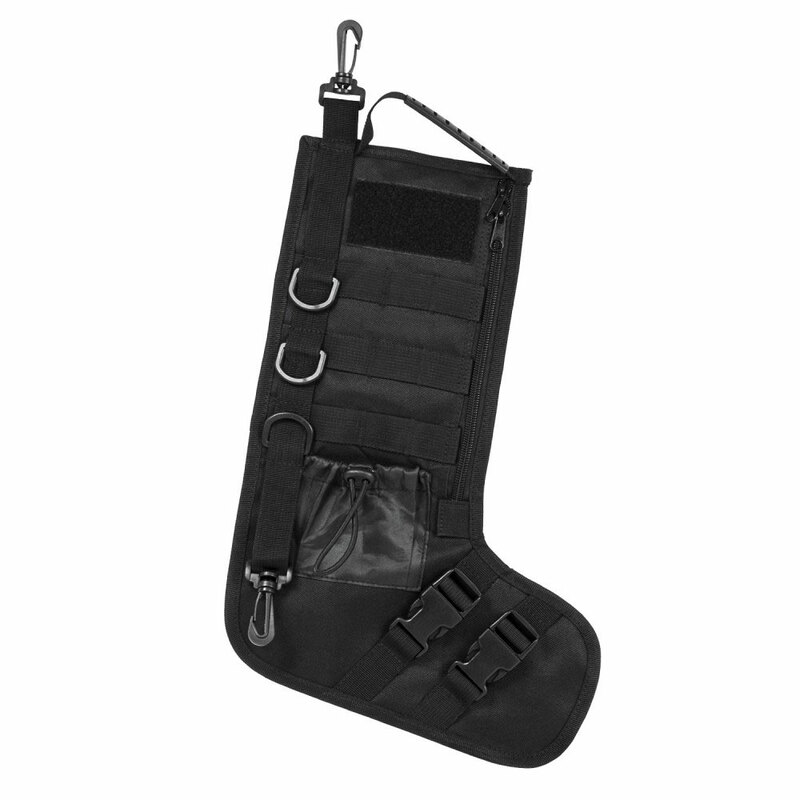 Not to worry, this stocking comes with two pal straps with metal buckles for easy attachment to anything you would like it to hang from as well as a durable top mounted carry handle for easy transportation!